A natural gas pipeline fire erupted at a mobile home park in Napa shortly after a 6.0-magnitude quake struck the Napa area 3:20 a.m. Sunday morning. When firefighters arrived on the scene they were greeted by busted water mains. Dealing with little to no water pressure in the fire hydrants, they reached out to the county for help which dispatched two 3,000-gallon tank tenders to the scene. 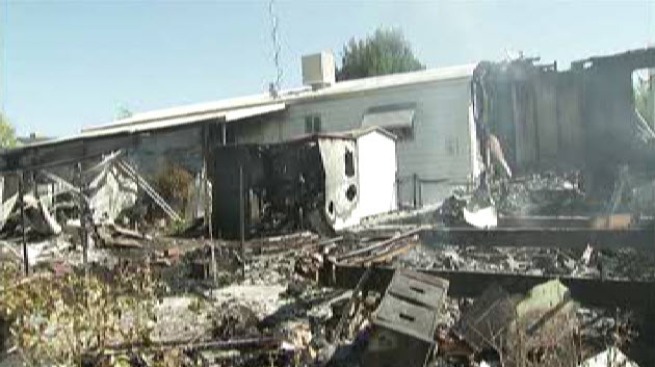 The fire broke out in a dwelling behind resident Nola Rawlins’ home. Lt. Gov. Gavin Newsom was in Marin at the time with his family. He came out to survey the damage and talk to the affected families of the mobile home park later that morning, hoping to gather information on what is needed from the state to help local first responders. 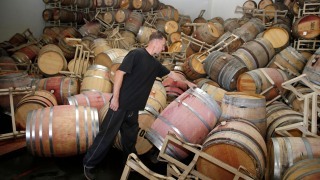 Gavin Newsom: Napa Quake is "Wake-Up Call"
In an interview aired live on NBC Bay Area, Lt. Gov. Gavin Newsom said Sunday's Napa earthquake is a sign that the state needs to do more to fund an early-warning system. Bob Redell reports.